"Onegin" by Martha Fiennes, starring Ralph Fiennes. Made in GB/USA, 1999. For the past few decades, Hollywood film companies have sporadically made use of Moscow, St. Petersburg and other places in Russia as a cinema production location. The Russian capital, however, is now embarking on deliberate plans to increase international film cooperation. To attract foreign filmmakers to the Russian capital and facilitate international film production, the Moscow city government has set up a special agency, the Cinema Commission. American and European movies, however, have been filmed in Moscow and in other Russian cities during the past few decades. The streets of Moscow and St. Petersburg have witnessed Arnold Schwarzenegger as a dutiful Soviet policeman and Pierce Brosnan as a reckless tank driver. Bruce Willis and Tom Cruise have both saved the world while immersed in Russian settings. One of the most recent major films shot in Russia is BBC’s adaptation of Leo Tolstoy’s War and Peace, which was broadcast in early 2016. Some parts of the TV series were filmed in Russia’s second city, St. Petersburg. Here is a list of 10 other famous western movies with scenes shot in Russia. As one of the first Hollywood movies where the Soviets were not portrayed in a negative light, the action involves Arnold Schwarzenegger playing a Soviet police officer who is chasing Russian criminals heading to the U.S. This was the time of perestroika, which now seems a time of unbelievably warm East-West relations. Nevertheless, at that time filmmakers still could not get permission to shoot on Red Square, hence they pretended to be making a home video with Schwarzenegger in police uniform. Producers of TheRussian House, a spy movie that starred Sean Connery and Michelle Pfeiffer, did not have problems shooting it in Moscow and Leningrad. The movie soon followed Red Heat, and it was the second and last major Hollywood film shot in the USSR. This was also Sean Connery’s second visit to the Soviet Union. Twenty years earlier he played in The Red Tent, the last movie by famous Soviet director, Mikhail Kalatozov. The last, and seventh, part of the American comedy police saga ends with this episode in Russia. It was filmed in autumn 1993 when an armed uprising broke out in Moscow, with troops loyal to President Boris Yeltsin shelling Parliament. These events forced the film’s shooting to be cut short. By the way, one can see the damaged Parliament building in the film. The first movie in the Bond series with Pierce Brosnan as 007 has a remarkable chase scene along the streets of St. Petersburg. Bond, driving a stolen T-55 tank, is after his main enemy who ends up in an armored train. Source: YouTube / Warner Bros. This American drama based on Leo Tolstoy’s famous novel starred Sophie Marceau and was shot in Russia. The movie was partly produced by Mel Gibson’s company and mainly filmed in St. Petersburg. Some scenes were also done at locations in Moscow; for example, one scene was shot at the Novodevichy monastery, the beautiful medieval Moscow architectural ensemble. This adaptation of the classic Russian novel written by Alexander Pushkin was filmed in St. Petersburg. 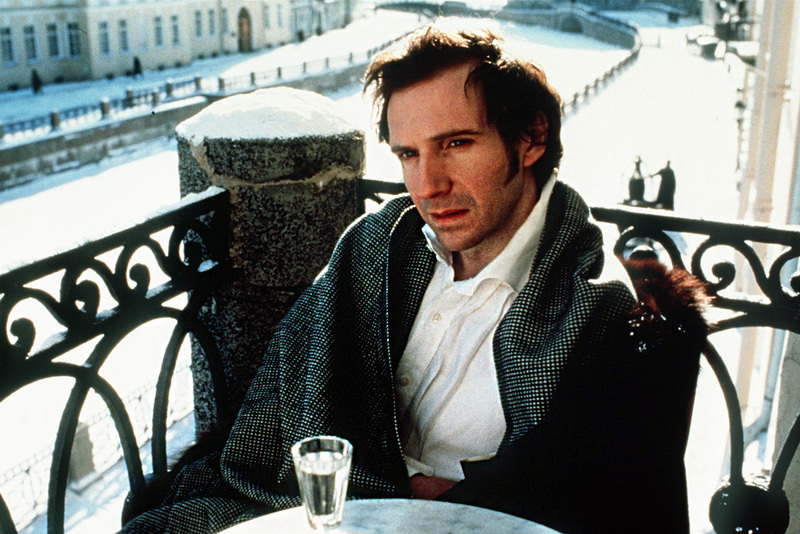 The movie got mixed reviews although many might recall eye-catching performances by Ralph Fiennes as Onegin and Liv Tyler as Tatyana, especially the ice skating scene with both characters on the Neva River. The end of the second part of the Bourne series was filmed in Moscow, as well as its famous car chase. Matt Damon completely destroyed a Russian taxi, in which he tried to escape from his adversaries, and in the process of which he damaged many other cars and wreaked havoc across the city center. Two stuntmen received the Taurus World Stunt Award in 2005 for this scene. Although much of the movie’s actions take place in the Russian capital, most Moscow scenes were in fact filmed in Prague. For example, the scene where terrorists blow up the Kremlin while Tom Cruise desperately runs away from Red Square was not shot in the Russian capital. To give a sense of authenticity, the filmmakers made several wide shots of Moscow’s city center. The idea to film this part of the futuristic horror saga in Russia was proposed by actress Milla Jovovich, and it was eventually shot in Russia’s Far East, on Kamchatka, and in Moscow. According to media, filming in Red Square lasted several hours and was closed to the public. In the movie, Jovovich battles viscious mutants near the Kremlin, and then enters the subway by sliding down the escalator. Just as with Mission: Impossible – Ghost Protocol, most scenes in this film were made in Budapest, even though the movie is set in Russia. According to Bruce Willis, however, the scenes of famous Moscow skyscrapers were shot in the Russian capital, and in one of them a helicopter ruthlessly shells the Moscow State University building with machine guns and missiles.